It was hard to say goodbye on Friday after being a part of one of the most successful and meaningful Jimmy & Rosalynn Carter Work Projects in its history. 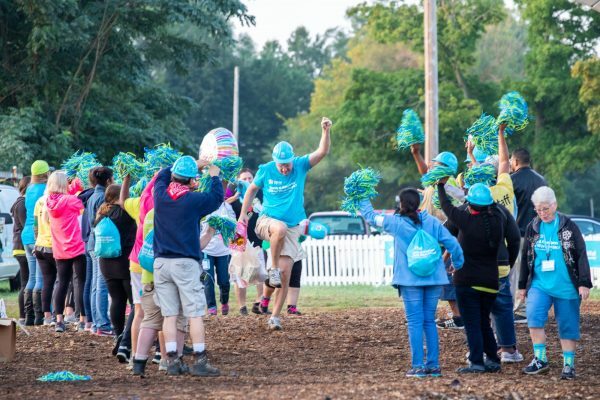 New traditions were started and old were continued throughout the day as the week wrapped up with a bang. The morning started out with speakers David Kibbe representing the Vera Z. Dwyer Foundation and Taryn MacFarlane representing the Roger I. & Ruth B. MacFarlane Foundation. 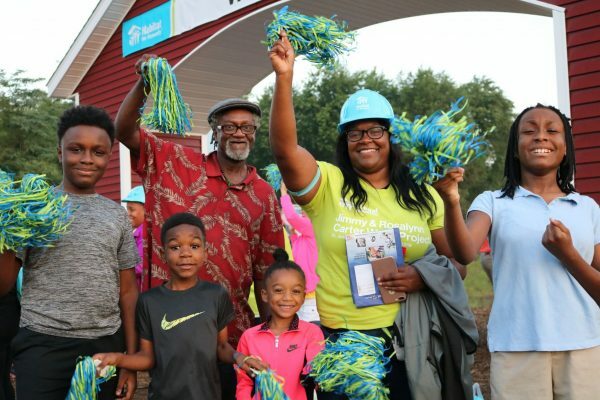 Volunteers heard from Cleora, a mother of four who will soon be moving into a Habitat home built during the week, as well as a special morning devotional from Garth Brooks. Volunteers continued to work hard to finish as many houses as possible for the future homeowners. 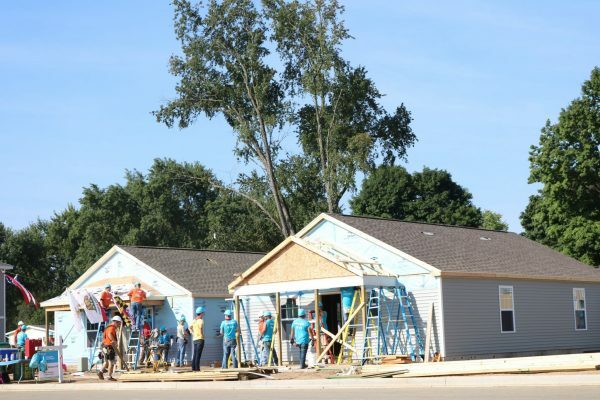 Volunteers worked incredibly hard on the last day to get as much done to finish the homes before the week was over. The one-story homes had their basement framing done as well as a majority of the siding and porch structure completed. The two-story homes were down to their final punch lists, touch ups and sod. By the end of the day, the two-story homes had mail boxes installed and shrubs planted. Future homeowners celebrated the completion of their new homes. 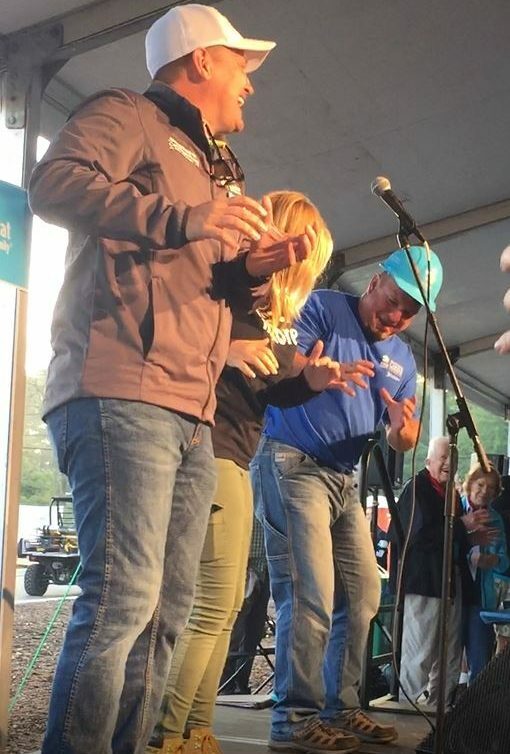 To keep the energy going, Jim Williams invited Garth Brooks and Trisha Yearwood to the stage to help with a morning warm up routine that quickly became a favorite moment of the week. Watch it below. 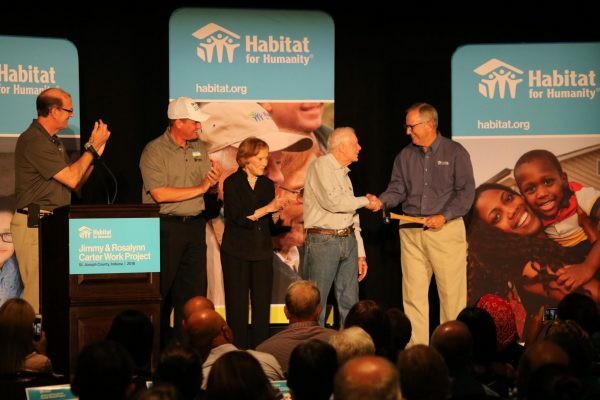 The week ended with Closing Ceremonies where President & Mrs. Carter thanked the volunteers for their commitment to Habitat for Humanity. The ceremony concluded with the tradition of “Passing the Hammer” onto the Greater Nashville Executive Director, Danny Herron, the affiliate hosting the project next year.